The origins of the song, My Boyfriend’s Back by The Angels began on a Friday afternoon. “I was heading into Brooklyn from Manhattan to have dinner with my parents and stopped at a sweet shop across the street from Abraham Lincoln High School. It was being closed down and I wanted to have one last egg creme. (2) In the back where I used hang out while in high school, there was a girl screaming at a guy who looked like Fonzie in a black leather jacket. 'My boyfriend’s back. You’re gonna be in trouble. You’ve been saying stuff about me all over and when he gets back, he’s gonna beat the crap out you,’” reminisced songwriter Bob Feldman in a phone interview. 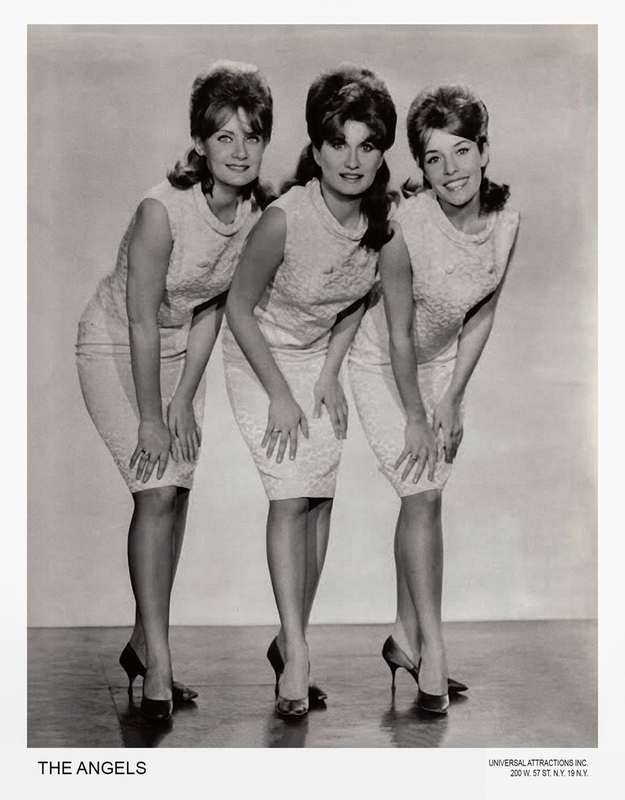 The Angels were three girls from New Jersey, Barbara Allbut, her sister Phyllis and friend Peggy Santiglia. With the two sisters and Linda Jansen singing in high school as the Starlets, the three would travel to New York to sing background vocals and demos for other artists. They signed with Caprice Records and took the name, the Angels, shortened from Blue Angels, a name they drew from a hat. Photo courtesy Universal Attractions Inc. When Boyfriend was written, Feldman, Goldstein and Gottehrer just left Roosevelt Music who employed them as staff writers. Bob received a phone call from Tom Catalano, who told Feldman that Columbia Records was starting a new publishing company and he wanted Feldman, Goldstein and Gotteher (now F.G.G. Productions) to work with him. Their salary went from $75 to $200 a week. When Catalano heard Boyfriend, he wanted the song for the Shirelles. F.G.G. knew what they had and wanted to produce it themselves. After a lengthy conversation, Catalano fired them, locked them out of their office and their contract was dropped. They took a small office in the same building and scraped enough money together for studio time. Working with other acts, they hired Larry Glover, a pianist and arranger to work with them as they booked a studio. They cut four “A” sides and one “B” side to be used for all four of the acts. Sneaky Sue, the first record was sold to Kapp Records for $1500, the entire cost of the session. The second was sold to Columbia for $1500, the first profit for F.G.G. 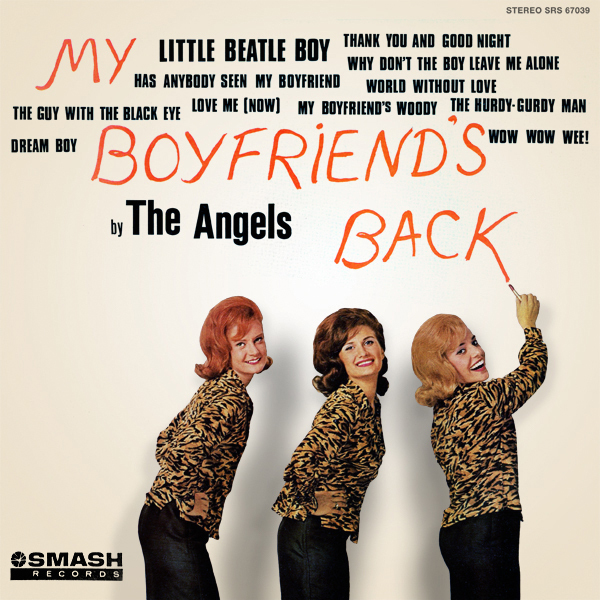 The third record, My Boyfriend’s Back, was purchased by Smash Records a subsidiary of Mercury Records for the unheard of sum of $10,000. In 1962, this was the largest advance ever for a song. The Angels hit the charts two more times in 1963 and once in 1964. The eventual British Invasion left a number of girl groups off the charts and looking for a career change. The Angels hit the supper club circuit through the remainder of the sixties and gradually transitioned to oldies shows. The Angels perform My Boyfriend’s Back on The Ed Sullivan Show. 1) Feldman, Bob, Goldstein, Jerry, Gotteher, Richard. My Boyfriend’s Back. 2) According to Bob, an egg creme is "Fox's u-bet chocolate syrup, seltzer (carbonated water) and ice cold milk, all done to the right proportion, stirred with a long spoon gently to bring a foamy head, pure white and about an inch high, so when you drank, it would leave a white mustache!" 3) Whitburn, Joel, Billboard Top Pop Singles 1955-2002, Page 19. 4) Whitburn, Joel, Billboard Hot 100 Charts The Sixties. 5) Feldman, Bob, Gottehrer, Richard, The Music Of Feldman, Goldstein and Gottehrer. CD liner notes. 6) Whitburn, Joel, Billboard Top Pop Singles 1955-2002, Page 684. My thanks to Bob Feldman who provided the quotes used in this article during an hour long interview on October 17, 2017.